Computers have become an important part of our life and an essential part of the culture. As new technologies are introduced frequently, it is the job of our educational system to make sure students become efficient members of society after they finish their schooling. The National Council of Teachers of English and The International Reading Association in 2000 stated that middle school students should use various technologies and information resources for conducting their researches. Technology is part of the education system and teachers should include technologies in classrooms. As schools incorporate different technologies into classrooms, students should adopt “new literacies” for preparing in an increasingly digital society. Students should be proficient in new literacies, in today’s world which is full of new technologies. Corio, Cammack, Leu, and Kinzer in 2004 termed the new literacies and divided its function into the following categories. • Identify the important question. • Estimate the usefulness of the information. • Combine the information to answer the questions. • Communicate the answer to others. In 2002 Nachmias and Gilad stated that among these five categories, the efficiency to locate information is the toughest to do on the Internet, along with a search for specific information. As the size of the Internet increases, the accessibility becomes more difficult. A single search task can create an overload of information. Hence you require a certain strategy to curtail the numerous possibilities that can overwhelm the searcher and a virtual block which forbid access to the information. 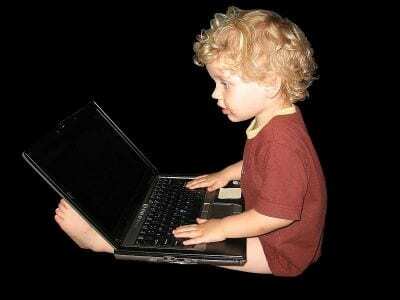 Eagleton, Guinee and Langlais in 2003 said that surfing the Internet is important and a requirement for literacy skill for today’s school students. They use the Internet for word processing. Teachers should guide the students with different methods of successful online research by enhancing their knowledge of the inquiry as it applies to the Internet (Eagleton and Guinee, 2002.) But in that case the teacher should have all the required skills and strategies to explore the Internet while upcoming the challenges inherent within complex and abundant online surroundings. Likewise, the Internet expands and manages the socio cultural context where the reader learns to read by providing collaborative chance to share and react to information across continents, languages and cultures.